Space agency ditches key instrument from mission to Jupiter moon over budget concerns. Planetary scientists are angry about NASA’s decision to jettison a key instrument from its upcoming mission to Jupiter’s moon Europa. The magnetometer, known as ICEMAG, was intended to collect data that could help to determine whether Europa’s ice-covered ocean is capable of hosting life, in part by measuring the water’s salt content. But on 5 March, NASA said that it had cancelled plans to build ICEMAG, citing increased costs. NASA plans to replace ICEMAG with a simpler, and cheaper, magnetometer that would gather less-detailed observations of Europa’s ocean. The decision stoked outrage this week at the Lunar and Planetary Science Conference in The Woodlands, Texas — especially when it emerged that NASA’s planetary-science division, which is developing the Europa Clipper, is also facing large increases in the cost of its next Mars mission. Lori Glaze, acting director of NASA’s planetary-science division, said the agency was trying to reduce risk by eliminating ICEMAG from the Europa Clipper spacecraft, which is scheduled to launch in 2023. NASA says that ICEMAG’s estimated price tag grew from nearly US$30 million in February 2017 to more than $45 million two years later. Others dispute those numbers, saying they include costs that should not have been charged to ICEMAG — and note that the team working on the magnetometer had offered alternative designs that would have been simpler and cheaper to build. But NASA decided to work with another, as-yet-unnamed group of scientists to build the simpler instrument. The decision to cut ICEMAG “is the hammer coming down a lot faster than anyone expected,” says Schmidt. Several scientists at the planetary-science conference questioned why the Europa mission was losing out even as the budget of another flagship NASA mission, the $2.4-billion rover planned to launch to Mars in 2020, has ballooned, mostly because of delays in instrument development. “The [Europa] mission as a whole is doing great,” said Kurt Retherford, a planetary scientist at the Southwest Research Institute in San Antonio, Texas, to Glaze. Yet “you didn’t say anything about the cost problems on Mars2020”. But there are crucial differences between the missions: the Mars2020 project is much further along in development, at a stage at which instruments have already been built and are being installed on the spacecraft. 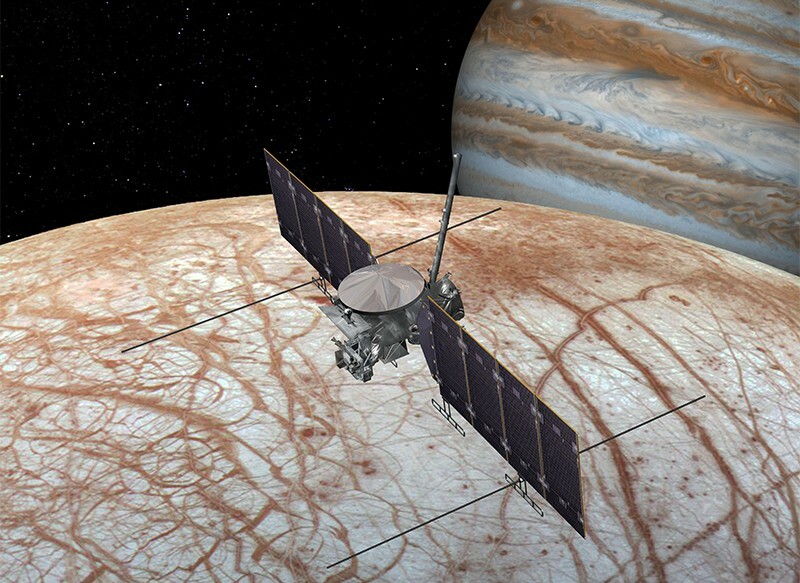 By contrast, NASA is still designing the Europa Clipper mission. And as Glaze noted, an August report from the US National Academies of Sciences, Engineering, and Medicine singled out the Europa Clipper mission as needing to be carefully tracked to stay within budget. “The intent here is to show that NASA is taking the National Academies’ direction seriously,” Glaze said. But some feel the Europa mission is being made too much of an example. “To those not involved in the process, this news came as a complete surprise,” said a 13 March statement from a group of scientists that consults with NASA on missions to the outer Solar System. NASA also recently cut nearly all of the $10 million allocated to analyse the last bits of data collected by another mission, the Cassini spacecraft that plunged to its death in Saturn's atmosphere in 2017. Finishing the analysis of data from Cassini’s final year would have supported a number of graduate students and early-career scientists, the group said. Some of the final Cassini data products, it wrote, “may simply not be developed”.